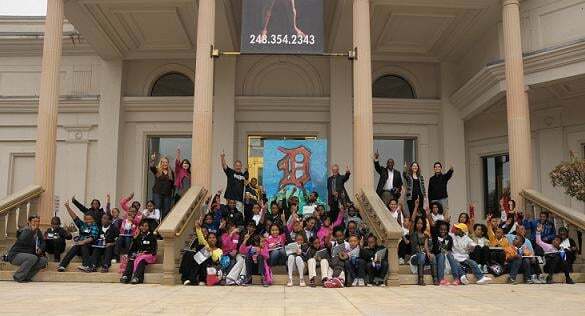 Park West Gallery recently welcomed the fifth grade class from Thirkell Elementary in Detroit and volunteers from Beyond Basics for a day filled with fine art, fun and surprises. Michigan-based Park West artist Tim Yanke graciously volunteered to spend the day at the gallery, painting with students and inspiring them with his unique artwork. The day’s art enrichment activities included a tour of Park West Gallery provided by Director Morris Shapiro, drawing and creative writing sessions in the galleries, and a hands-on painting experience with Tim Yanke. Students and volunteers were also treated to a pizza lunch and provided with take-home goodies. Additionally, Park West Gallery donated various art supplies to the school. Everyone was surprised and elated as the field trip ended with Tim Yanke generously donating the finished work of art to Thirkell Elementary. The fifth graders are looking forward to the masterpiece they helped to create being permanently displayed in their school. 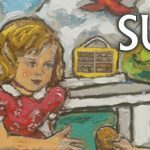 Park West Gallery is committed to community outreach, having donated thousands of new items of clothing, works of art and books to charitable and educational organizations nationwide. To nominate a charitable organization in your community that would benefit from Park West Gallery CARES, please send your submission to pwgcares@parkwestgallery.com.